HMH Books for Young Readers, 9780544541221, 240pp. So bored that she runs away to live with a dragon. And not just any dragon, but Kazul--one of the most powerful and dangerous dragons arounds. Of course, Cimorene has a way of hooking up with dangerous characters, and soon she's coping with a witch,a a jinn, a death-dealing talking bird, a stone prince, and some very oily wizards. If this princess ran away to find some excitement, it looks like she's found plenty! With a new look and new introduction from the author. 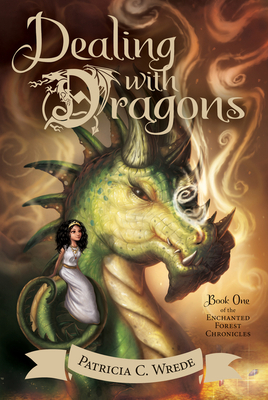 PATRICIA C. WREDE has written many novels, including Sorcery and Cecelia or The Enchanted Chocolate Pot and The Grand Tour coauthored with Caroline Stevermer, as well as the four books in her own series, the Enchanted Forest Chronicles. She lives near Minneapolis, Minnesota.